What are the Best Arrows for Hunting? Read below to find arrows that are affordable and shoot straight. Our list of the Best Arrows for Hunting broke down into price ranges of Inexpensive, Medium Priced, and Expensive. Scroll down the page and find the hunting arrows that fits your budget best. Please go through our links before buying any hunting arrows we recommend to be sure you get the best price possible and so we get credit for sending you. Thank You! There is an unbelievable amount of arrows to choose from on the market today. Being avid archery shooters and hunters, the Artifact Outfitters team has had the opportunity to try, review and test many different shafts. What we have found is the quote that we live by here, “You get what you pay for” does not exactly hold up when it comes to arrows. Mainly in the fact that you really don’t need the most expensive arrows to get good groups with your bow. Especially when it comes to shooting at small game where it is not worth wasting a $20 arrow set up on a Turkey or rabbit. In this case you just want an arrow that flies straight and is strong. The hunting arrows listed below all are good flying arrows and will work well with almost any setup. 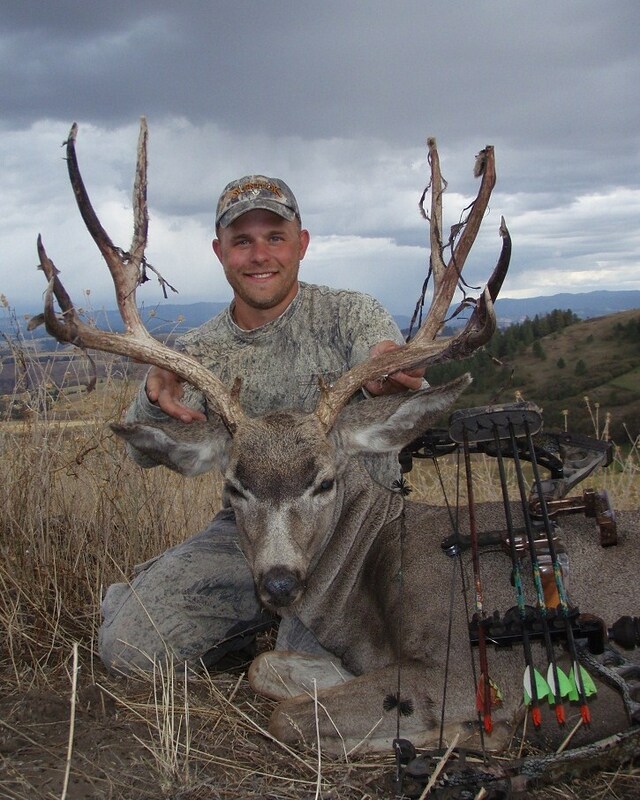 When hunting big game, you need an arrow you can depend on to be 100% consistent. Likewise, if you are tournament shooting, you can’t afford to be off by even an inch. If you want the best arrows and price has little to do with your choice, then Gold Tip Pro Hunter Arrows are what you need to be shooting. Gold Tip Pro Hunter Arrows are the best arrows for hunting due to their impeccable consistency from arrow to arrow. Gold Tip set out to make the most accurate wrapped graphite arrow ever built. The result is a lighter, flatter-shooting arrow that durably and consistently delivers in the most demanding hunting scenarios. They are then topped with Vanetec HP vanes for maximum stability. Gold Tip Pro Hunter Arrows are built with incredible precision. These are the best arrows for hunting due to the fact that they are screened to be as consistent as possible with a straightness tolerance of only +/- .001 and vary by weight at only 1 grain per dozen. It does not get much more exact than that. These hunting arrows are guaranteed to fly straight. Through the link below, you have several choices to make. You have to choose your color. You can get them in either black or camo. You need to decide on an arrow size. Check this link here Arrow Selection Chart to determine the size you need with regard to draw weight and arrow length, then come back to this site and order your hunting arrows through the link below. These arrows come standard length at 32″. You may choose to have them cut to size for $5 per dozen by checking the box “customize order” and then will be shown the way to determine the correct arrow length. Gold Tip Pro Hunter Arrows have the specs to shoot tournament archery. We are not the only ones who think these are the best arrows for hunting! 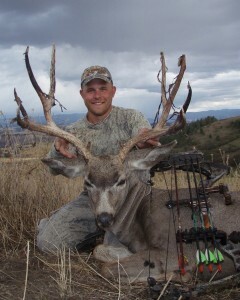 Check out the reviews here: Gold Tip Pro Hunter Arrows Reviews at Cabelas.com. If they can keep them in stock, this is also a good spot to buy depending on price at the time. These impressive arrows are the perfect combination for a person that wants quality and affordability. They are very strong, very accurate arrows that aren’t so expensive that you are scared to shoot them at anything that isn’t a trophy buck. They are a good arrow to shoot all year long without the hassle of changing arrows throughout the year. Also, they are very popular and can be purchased at most locations that sell archery hunting equipment. Beman ICS Hunter 400 arrows are made out of high strength C2 carbon composite with a +/- .003 arrow straightness and a 2.0 +/- grains weight tolerance. The black micro-smooth finish makes for less air drag and easier arrow removal from targets. Beman ICS Hunters are some of the most popular arrows ever! These best arrows for hunting are more than enough arrow to hunt any game animal all around the world. They also have the accuracy to put the arrow in the right spot. Three years in a row I have had pass through kill shots on 3 mature mule deer including the pictured buck at the beginning of this page, as well as a few bull elk. Through the link below, you will get these hunting arrows at a great price and ready to shoot with inserts and vanes. All you have to due is add a broadhead or field point. They are 32 inches long, but they will cut them for an additional $5 per dozen. Just click on the “customize order” link and if you do not know how, they will help you determine the proper length of arrow you need. You will have a hard time finding arrows of this quality at a price as low as these. 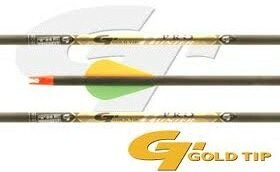 Gold Tip arrows are known for being strong and durable, and these are both. The price is for 32″ seamless carbon arrow shafts with 2″ vanes and ready to shoot with aluminum inserts and knocks. All you have to do is add a broad head or field point to it. The Gold Tip Trophy Hunter XP Hunting Arrows have a straightness of +/-0.006″ which is great for an arrow of this price. With a .340 spine, you can bet these arrows are plenty stiff for whatever bow you are shooting up to a 70 lbs draw weight (plus or minus). What we do is use these arrows for most of the year hunting turkeys, coyotes, and whatever else we do not feel like wasting an expensive hunting arrow on. Then for other big game hunting like deer, elk, and bears, we jump up to the expensive best arrows for hunting listed below. These Gold Tip Hunters do group well though and are more than enough arrow for big game, we just prefer a slightly better straightness factor that is hard to get in an inexpensive best arrow for hunting. These arrows might not have the quality needed for professional shooters at archery competitions, but they are more than enough arrow for the average bow hunter who wants some inexpensive arrows to shoot. Be sure to check out the customer reviews for these arrows at the link below. They are quite impressive.